Watch The Walking Dead Season 5 Episode 3 Online to see the people of Terminus face off against Rick and the survivors. And just who will die in the process? 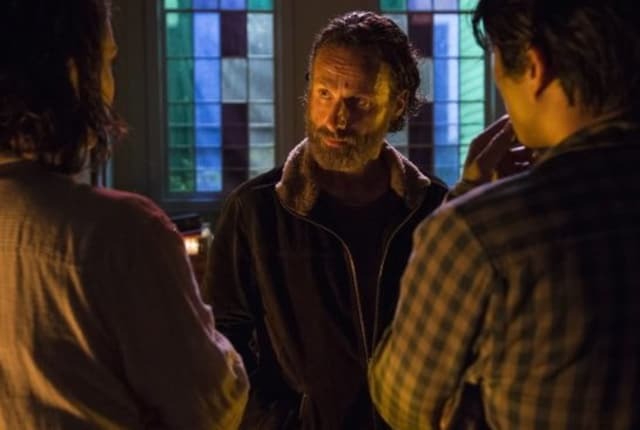 Watch The Walking Dead Season 5 Episode 3 Online right here via TV Fanatic. Gareth and his people of Terminus want to eat Rick and company, but they learn Bob was bitten. And while Abraham adamently wants to go to D.C., he agrees to fight Gareth with Rick. But can Bob be saved? Can Gareth be stopped? And what's up with that last minute ending with Daryl all mean? Watch now to find out.